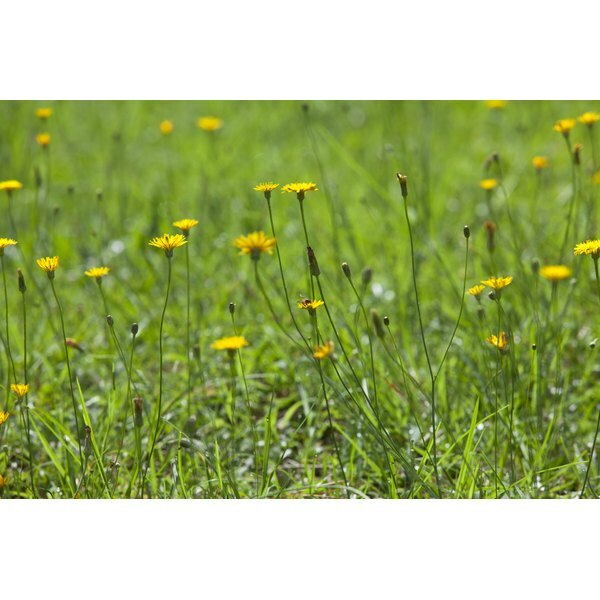 Dandelion allergy is directly linked to ragweed allergies, which the Asthma and Allergy Foundation of America estimates affects 10 to 20 percent of all Americans. Ragweed plants like dandelion produce pollen during the late summer months and well into fall. Although such plants are more prevalent on the eastern coast of the United States and in the Midwest, pollen has the propensity to get carried through the wind and travel for miles, even into other states. An allergist can help diagnose dandelion allergy and prescribe treatments to help reduce symptoms. Allergies are your immune system’s response to certain foreign substances like pollen. Not everyone experiences the same types of allergies, but pollen sensitivities are common. The American Academy of Allergy, Asthma and Immunology reports that a single ragweed plant can produce one billion grains of pollen during one season. Pollen is a common allergy trigger, but people are more prone to the pollen produced by ragweed plants, including dandelion. According to the Asthma and Allergy Foundation of America, 75 percent of Americans’ pollen allergies are triggered by ragweed plants. Hay fever is a collection of allergic symptoms that you experience if you are sensitive to dandelion pollen. You might experience a runny and stuffy nose, sneezing, eye irritation and sore throat. As with other types of allergies, dandelion allergy can range in severity. If you are extremely allergic to ragweed, dandelion exposure can cause asthma symptoms, such as wheezing, as well as severe headaches and sinusitis. Some symptoms can keep you awake at night. Dandelion allergy is diagnosed with a skin sensitivity test, in which an allergist pricks your skin with dandelion extracts. A bump or rash at the test area is indicative of an allergic reaction. Your doctor will likely test other types of ragweed plants on your skin during the test, such as sage and mugworts. Oral antihistamines help your body block histamine, a chemical reaction that occurs when you come into contact with dandelion allergens. Some patients also require nasal sprays and eye drops to reduce inflammation and irritation. The most effective way to prevent an allergic reaction to dandelions is to avoid the flowers whenever possible. You can be also be diligent about staying indoors if your local pollen count is high to prevent symptoms. However, since pollen can travel at long distances through the wind, your efforts might occasionally prove futile. Allergy shots, also called immunotherapy, can help your body build resistance to the pollen so that your allergy symptoms improve over time. A small amount of the allergen is injected into your skin, usually on a weekly basis. Over time, your allergist or immunologist gradually increases the amount of the dandelion allergen until the process is complete. Kristeen Cherney began writing healthy lifestyle and education articles in 2008. Since then, her work has appeared in various online publications, including Healthline.com, Ideallhealth.com and FindCollegeInfo.com. Cherney holds a Bachelor of Arts in communication from Florida Gulf Coast University and is currently pursuing a Master of Arts in English. What Are the Symptoms of Ragweed Allergies?